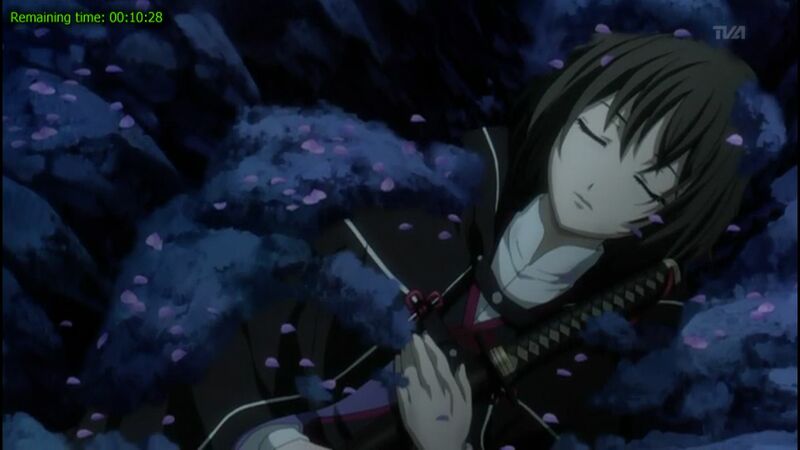 The main female protagonist who owned a harem full with swords-toting pretty boys. 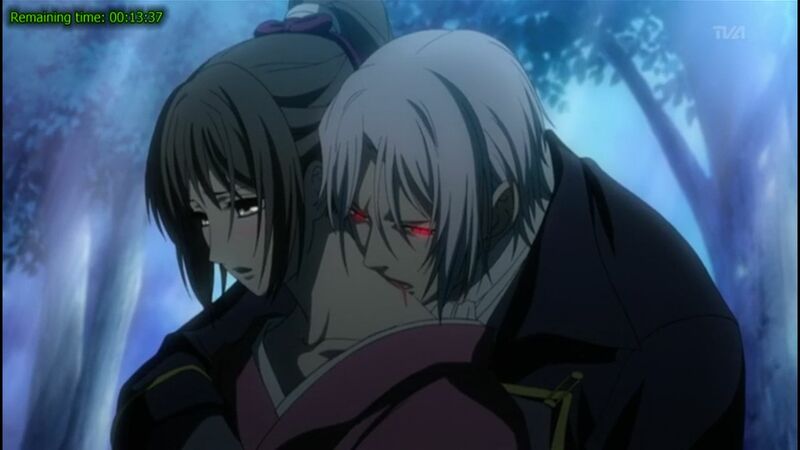 This review of the 10-episode Hakuouki Hekketsu-roku, the sequel of Hakuouki reviewed here before, is so late mainly because of Chinese New Year and a little bit procrastinating on my side. As a recap, the first season has done fairly well before during the ‘Anime of the Year 2010’ audition, and definitely the best reverse-harem title reviewed in this blog to date. So did the second season, which will also compete for the ‘Anime of the Year 2010’ title just like its predecessor did, continues building on the solid foundations that has already been laid? read on to find out. She finally fulfill the reason why she comes to Kyoto in the first place. After the main female protagonist and her pretty boys entourage retreated from Kyoto, the Tokugawa Shogunate started to disintegrate while the era of the Meiji Restoration started to dawn in Japan. In the turmoil caused by the warring factions, she finally finds her missing father (and as an added bonus, her brother too) in tragic short-lived reunions. As history chiseled away the Shinsengumi group episode-by-episode, they has to fight monsters and demons too in addition of the imperial forces. One thing that has definitely improved in the second season is the storyline. The fictional parts of this anime is more overt now than it is in the first season, and the only possible weakness in the plot is the appearance of the main female protagonist’s brother being too early for my liking. Actually, after learning that the second season only has 10 episodes, I feared that this anime will go the way of Hatenkou Yuugi (an extremely bad reverse harem title) but fortunately it didn’t. While it is all fine and dandy when it comes to storyline, the second season suffers a serious regression when it comes to presentation. Considering the circumstances detailed in the first season, this character died too early for my liking. In the first season, the anime’s pacing is quite decent if not a little bit fast because of the numerous time jumps, plus the flow of the story progression is basically flawless. But in the sequel, you cannot say the same thing for the presentation aspect of this title. The pacing in this sequel is faster than in the first, and because of it the improved storyline seems to be presented in a hurry. Events comes and goes faster than it is in the first season. This sets up a cascading chain reaction where the fast pacing also caused the flow of the storyline to be negatively affected. 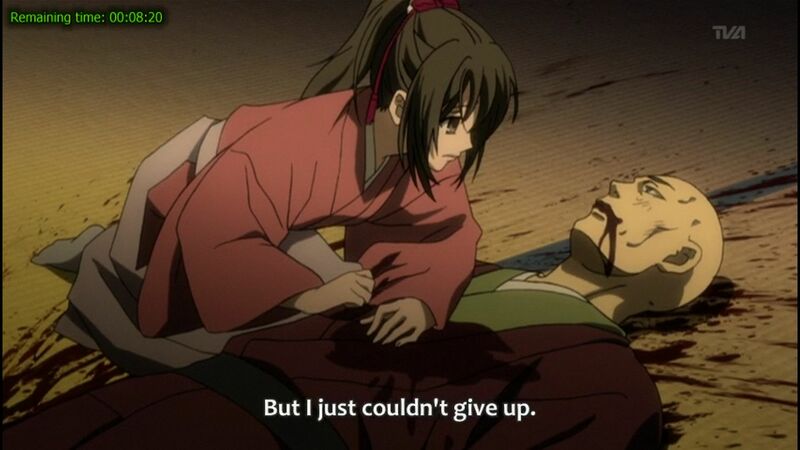 A good example of this is the disconnects between the events of the main female protagonist brother’s death (in the first two episodes), the arrest and execution of the Shinsengumi leader (happened in the next two episodes) and also the death of the main female protagonist’s father (the next 3 episodes after it). 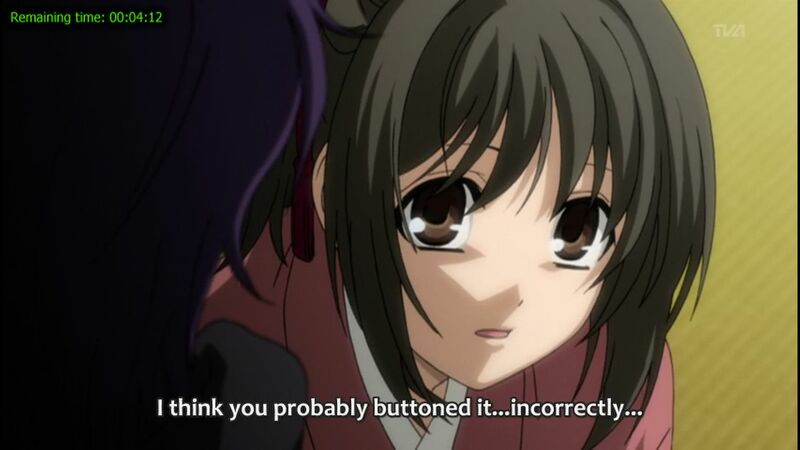 Scene transition problems is really apparent in those cases, it is as if you are watching an episodic anime title. But this weakness is mitigated by the fact that the problem only happens in the fictional parts of the anime, not the historical parts of the storyline. 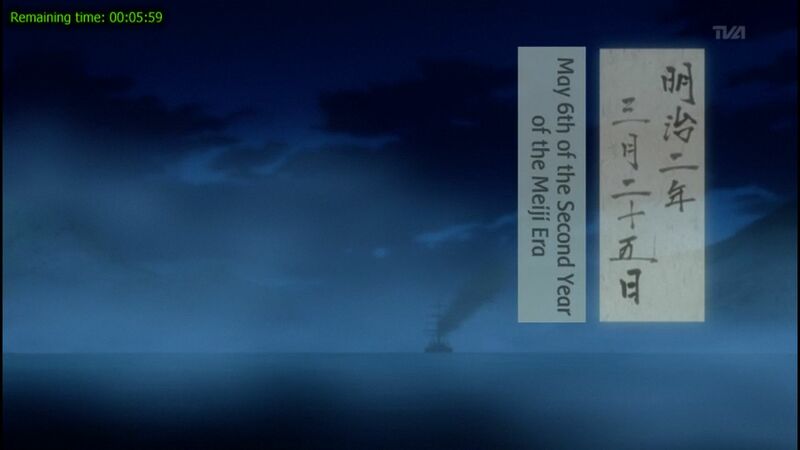 The time jumps in this second season are still numerous as ever, but didn’t affect the anime negatively. 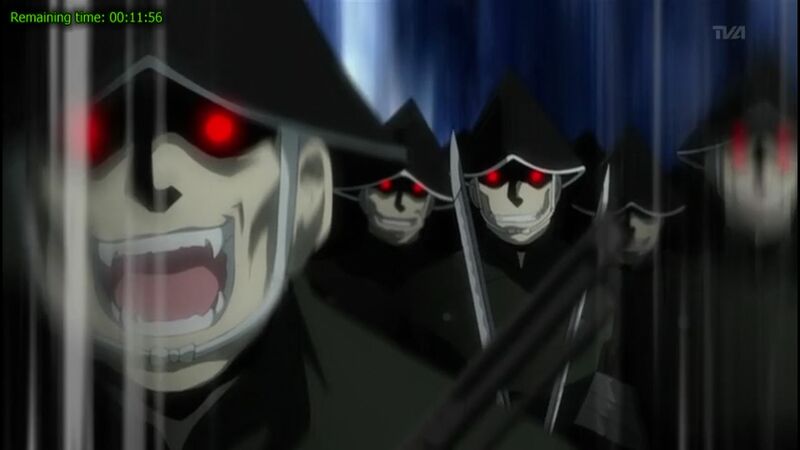 I’m pretty damn sure that the real Shinsengumi guys in our world doesn’t have to fight these guys. Speaking about that, in my review of the first season, I did mention that I predict that the second season storyline will deviate from official history books. 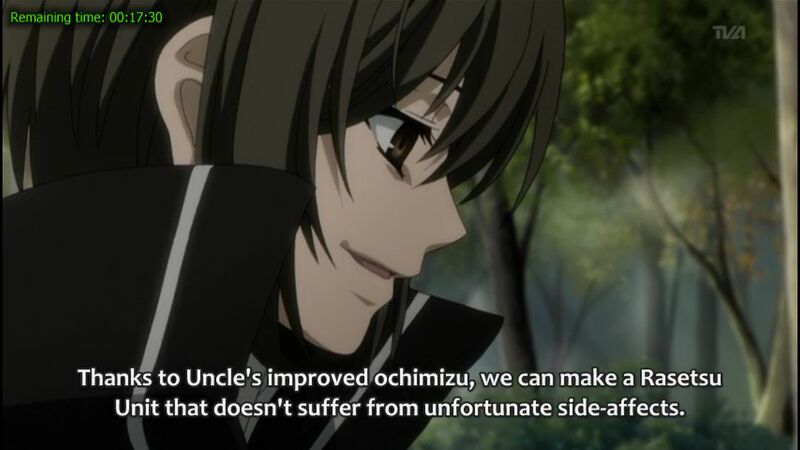 Fortunately, this doesn’t happen, and changes are restricted mostly on how some members of the Shinsengumi died. And those changes are most dictated by the emergence and resurgence of the fictional parts of this anime (consisted of parts like the main female protagonist and the Rasetsu monsters). The ending is good but ambiguous, but if you consider the way this anime treated its historical sources, it is not that hard to extrapolate what has really happened to the main male protagonist at the end. A few things left unfinished though, like what happened to the remaining two Shinsengumi members. He is also not part of the canon history books. Character developments in this anime has been improved compared to what happened in the first season, a great feat considering the lower numbers of episodes this anime has. Regardless whether a character is a Rasetsu or not, each and every one of them has decent airtime as the Shinsengumi numbers eventually wears down. Exceptions are the two characters I mentioned before which fate and whereabouts are unknown after the ending credits rolls in. After watching all two season of this anime, IMO this is one of the better reverse harem titles out there; better than the likes of Ouran Koukou High School, La Corda D’Oro ~primo passo~ or Hatenkou Yuugi. If you have a thing for pretty boys and a penchant for documentaries, this is definitely a title for you. The time jumps are still there in all its glory. My comment from the first season of this anime still applies. Another part in this anime where improvements can actually be seen. The OST is still decent as it is in the first season, but in this season the OP/ED themes are actually good. 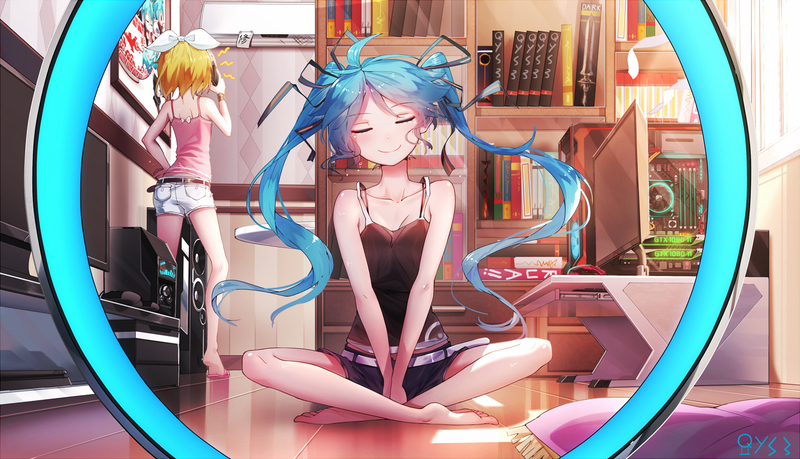 The ED theme in particular is great. For the animation and choreography parts, my comment from the first season of this anime still applies. But for the directing, the scene transition problems is a blip for the director. 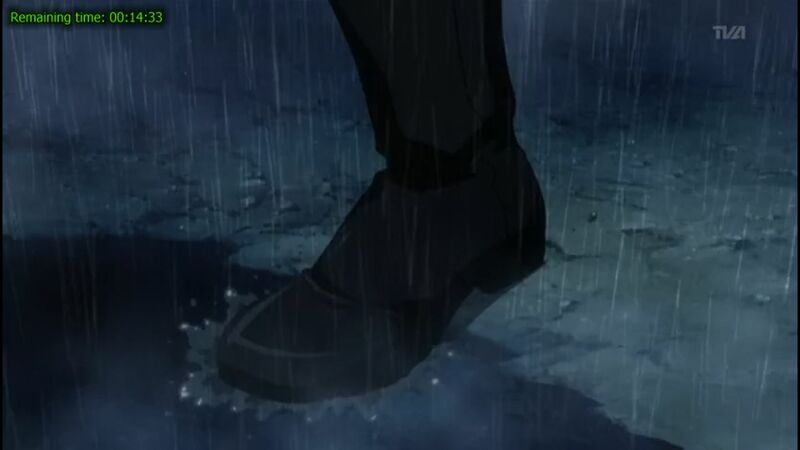 Rain effects in this anime is better than the fake ones seen in Legend of Legendary Heroes and Fullmetal Alchemist: Brotherhood. 8 out of 10. Same score as the first season, and therefore Katanagatari will still retain the ‘Anime of the Year 2010’ title for the time being. To know the next title I will watch, see the sidebar of this blog’s Facebook page. It is highly likely another 2010 anime title that should remain nameless until I started watching it. Unfortunately for the audience, the anime doesn’t show what happened after this scene. Oh well, you have to settle for the Princess Lover OVA instead.